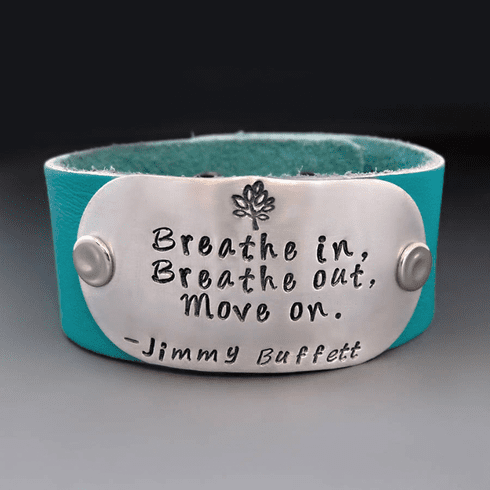 Gift or wear this motivational cuff to remind you or someone you love to be brave and stay strong. The cuff is approximately 8-9 inches long x 1 inches wide x 2 mm thick. The 1 inch cuff is shown in the product photos. The 1.5 inch cuff is shown on the model.